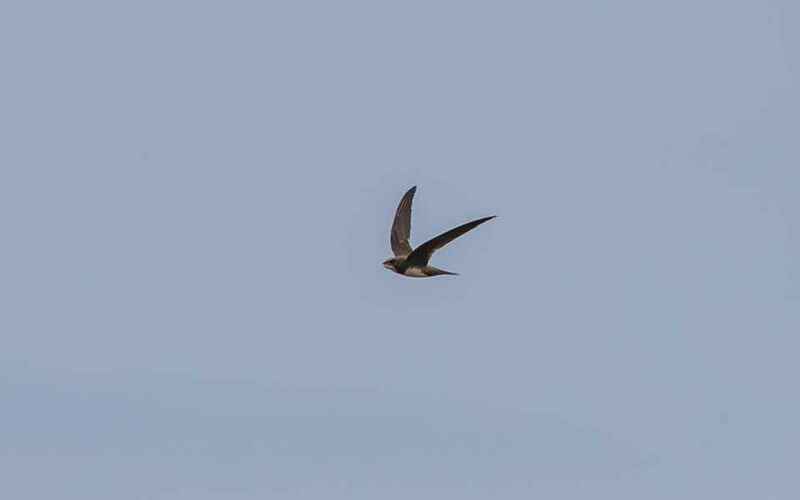 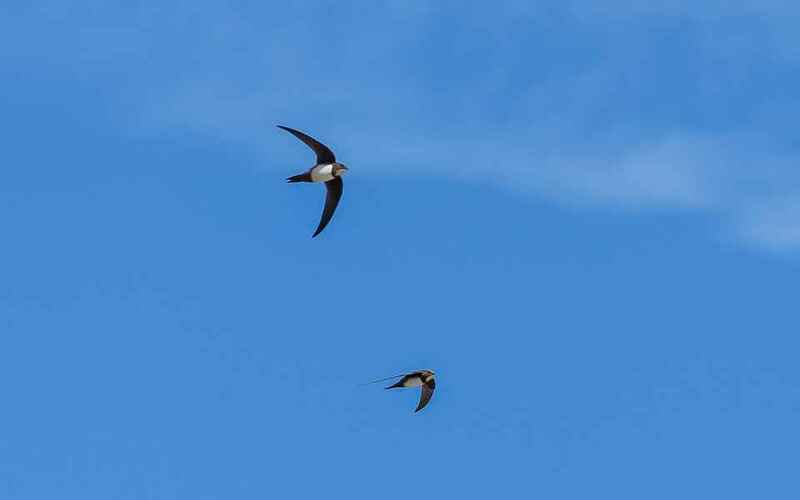 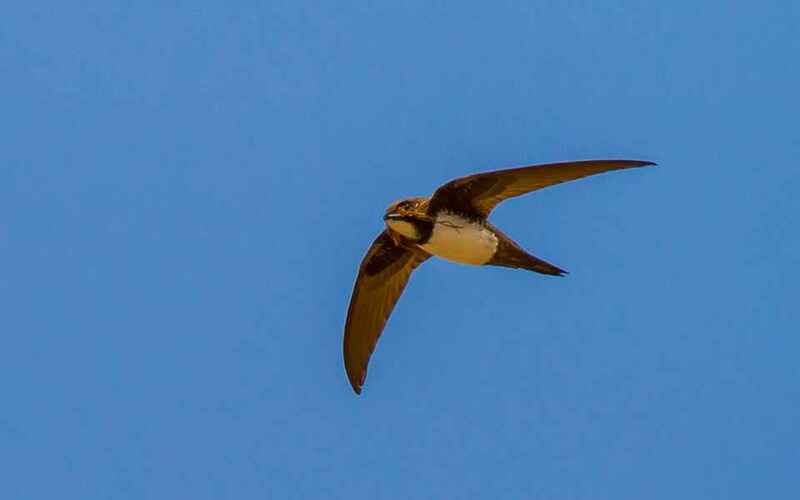 An unmistakeable Swift, much larger than any of its contempories and with a large white belly and throat patch separated by a dark chin-strap. 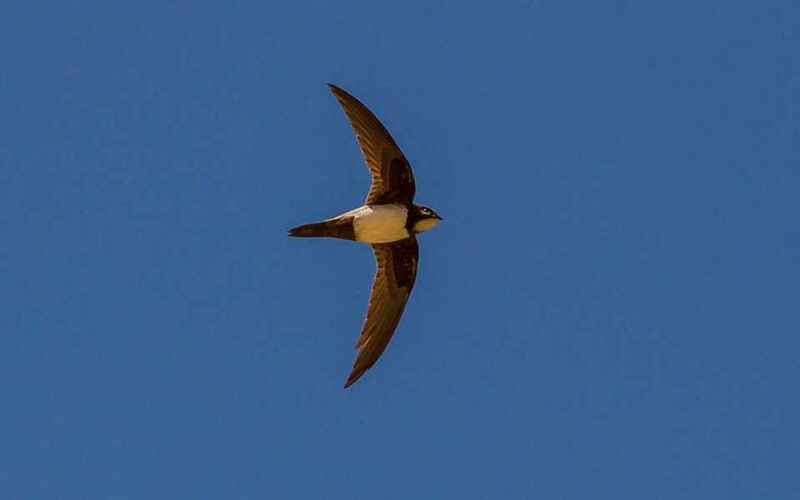 A summer visitor, arriving in April and leaving late August, early September. 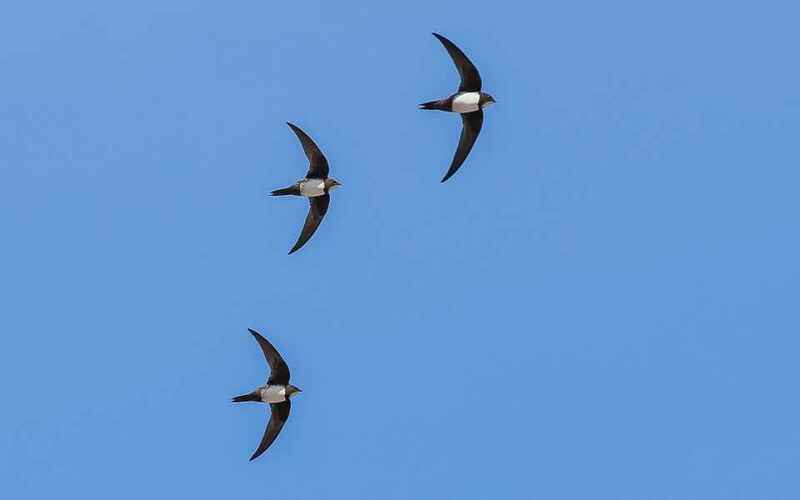 Alpine Swifts are found fairly easily along the coast, but they're also common inland where they nest colonially in tall buildings and ruins.